That’s how she follows the bride step by step, up to her most important day; she helps recommending make-up and hairstyle, as well as the the most suitable hair colour and hair care, to perfectly match the bride’s personality. Attentive to every need and request, she makes her profession as a real work of art. On the day, also guests and relatives will be able to benefit of Stefania’s hairstyle and make-up services, so to have a well-groomed and sophisticated look. With a real passion for beauty, she always tries to adapt the most appropriate style to any kind of dress. Versatile for every style. 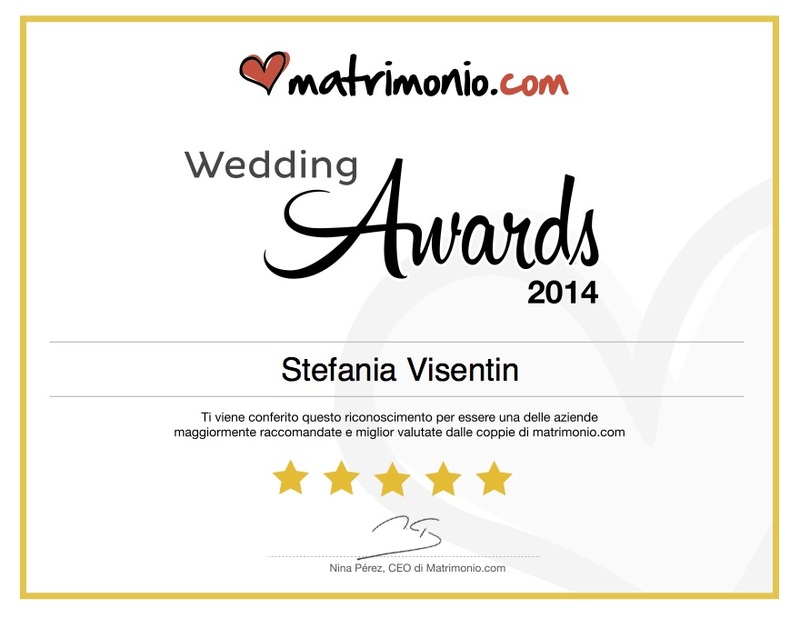 Stefania was very nice and responsive; on my wedding day, she was punctual and detail-oriented. The hairstyle and make-up were perfect, exactly as I wanted them. 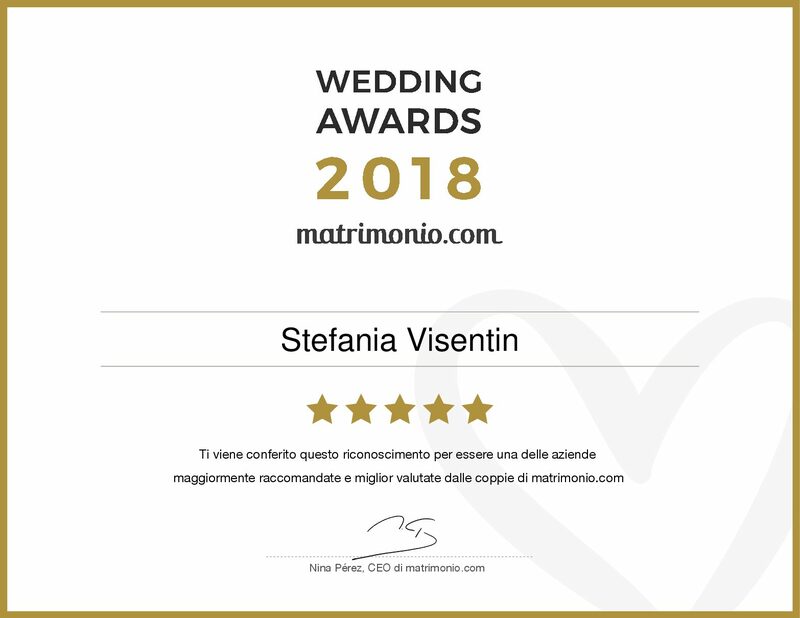 I had a fantastic experience and my mom was also very pleased with the service: she also looked beautiful thanks to Stefania. I would choose her again and I recommend her services to all future brides. Thank you Stefania! I have been getting along so well with Stefania, that I called her back for other jobs. She makes you feel perfectly comfortable and is very helpful and responsive. She also brings great professionalism and expertise within her field! Choosing Stefania was quite natural for me, since I had already gotten to know her at my sister’s wedding. It confirmed my opinion of her: punctual, precise, attentive to details, friendly and full of great advice. I had no clear idea of make-up and hairstyle beforehand and she managed to guide me, guessing my preferences. I recommend her! 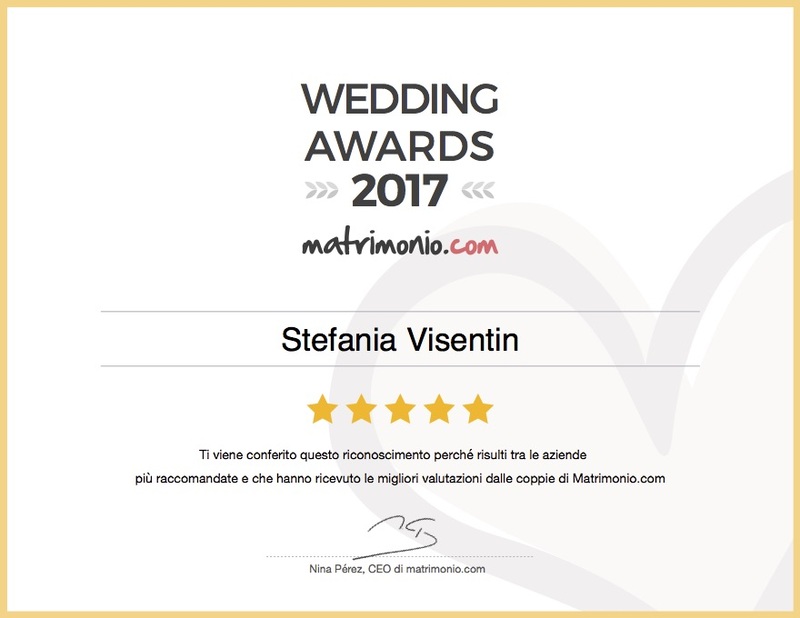 Stefania was very helpful and patient, both during the convenient first trial at home, and during the preparations on the wedding day. During the trial, she was available on Saturday morning and took her time to help me choose the make-up and hairstyle, even if I had no clear idea beforehand. On the big day, she was professional, polite and discreet, she also styled my mum (veru quickly!) and in a stressful moment (I was late) she even helped me dress-up, together with my best friend! Despite the sweltering July heat, the make-up did not need any retouching! Perfectly happy with the choice! I relied on her, both for make-up and hairstyle, and was very pleased. The up-do hairstyle was gorgeous, and lasted from noon to 5 am without losing a lock or a strand .. The make-up was also very beautiful and made my natural features stand out. She also made-up and styled my mom and sister and they looked amazing! Stefania helped making my wedding day wonderful; and every time I look at the photos, I feel very fortunate to have found a professional artist like her! I recommend her to everybody: she is very discreet, very proactive, she studies your features to find the most suitable make-up and hairstyle for you. And I must say that also the price / quality ratio is really good. Stefania is fantastic! Good, indeed very good … and really nice! She has been patient, has gone along with my doubts and last-minute changes, was able to reassure me … And the result was fabulous! Make-up and hair were magnificent, I have never felt so beautiful! The price is right for the services she provides, and for the great professionalism and personal touch! She made me feel beautiful and has helped me and supported me in my last-minute stress (or rather say its panic!)! I would choose her again 1000 times! Thanks so much! Always in tune with the current style, studying new patterns every day, following the latest trends! Creating beauty and shaping the unseen, it’s like painting a picture! All you could desire in a simple gesture, playing with colours and matter!